A biogas plant is a decentralized energy system, which can lead to self-sufficiency in heat and power needs, and at the same time reduces environmental pollution. 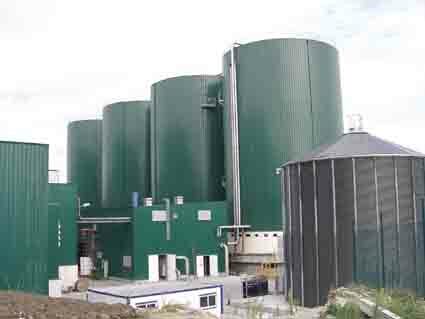 The components of a modern biogas (or anaerobic digestion) plant include: manure collection, anaerobic digester, effluent treatment, biogas storage, and biogas use/electricity generating equipment. The fresh animal manure is stored in a collection tank before its processing to the homogenization tank which is equipped with a mixer to facilitate homogenization of the waste stream. The uniformly mixed waste is passed through a macerator to obtain uniform particle size of 5-10 mm and pumped into suitable-capacity anaerobic digesters where stabilization of organic waste takes place. In anaerobic digestion, organic material is converted to biogas by a series of bacteria groups into methane and carbon dioxide. The majority of commercially operating digesters are plug flow and complete-mix reactors operating at mesophilic temperatures. 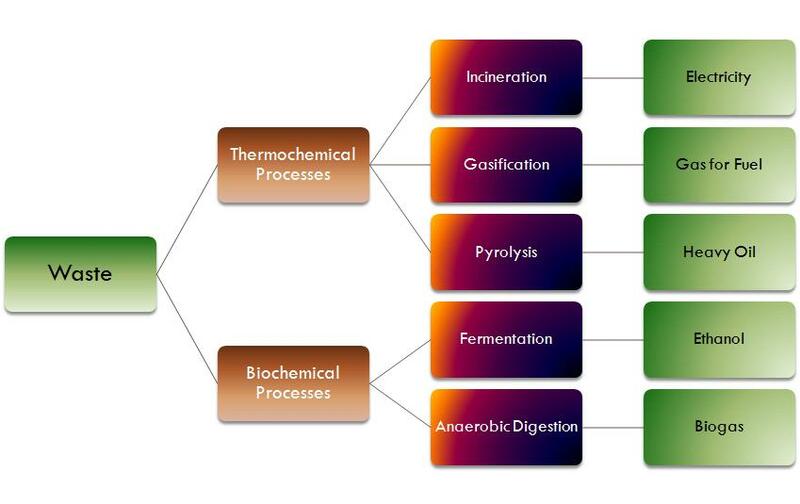 The type of digester used varies with the consistency and solids content of the feedstock, with capital investment factors and with the primary purpose of digestion. Biogas contain significant amount of hydrogen sulfide (H2S) gas which needs to be stripped off due to its highly corrosive nature. The removal of H2S takes place in a biological desulphurization unit in which a limited quantity of air is added to biogas in the presence of specialized aerobic bacteria which oxidizes H2S into elemental sulfur. Biogas is dried and vented into a CHP unit to a generator to produce electricity and heat. The size of the CHP system depends on the amount of biogas produced daily. 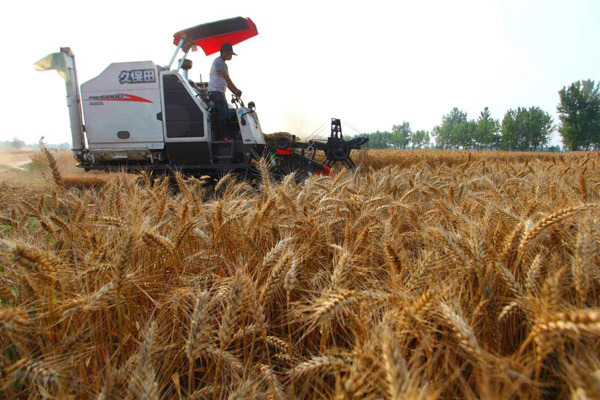 The digested substrate is passed through screw presses for dewatering and then subjected to solar drying and conditioning to give high-quality organic fertilizer. The press water is treated in an effluent treatment plant based on activated sludge process which consists of an aeration tank and a secondary clarifier. The treated wastewater is recycled to meet in-house plant requirements. Recent projections show that the world’s energy demands are about to increase by close to 25% between now and 2030. Population and wealth growth are the leading factors behind the increased need for energy. Additionally, issues related to pollution and climate change are compelling companies and investors alike with respect to how they produce and use energy. Grs a global resource solutions company offers a plethora of services that could help industries reshape and streamline their energy consumption. Energy efficiency is playing a vital role in helping the world achieve its power needs and progress. The prices of energy have kept rising over the years even when oil prices have dropped as was the case in 2014-2015.Such sudden fluctuations can be difficult for businesses to deal with. Also, declines in energy prices have called into question whether the efforts in energy conservation and efficiency are worth it. According to various financial analyses, energy costs form a considerable chunk of operating expenses. Worldwide, cement, chemical, mining and metal companies, for instance, spend almost 30% of their operating budget on energy. Additionally, the percent of the budget spent on energy is higher in developing nations due to the cheap cost of labor. Statistics and research show that operational upgrades can cut energy consumption by approximately 20%. Nonetheless, investment in energy efficiency technologies can reduce energy usage by even 50%. The reports and findings show that it is not a pipe dream for manufacturing entities, which account for almost half of the world’s energy usage, to meet energy requirements in a way that is environmentally friendly and economical as well. Advanced technology could substantially reduce energy usage and save companies more than six hundred billion dollars per year. There are technologies currently in place that can help industries reduce energy use. The ideas cover a range of manufacturing and production groups like cement, mining, oil refining and chemicals. Nonetheless, firms are facing the challenge of how to put energy efficiency technology in place how to renew the technology so that it stays relevant year in and year out. Consider your product to be a future source that can be used many times. In other words, when developing a product, strive to move away from the traditional linear supply chain. Take, for example, a data services provider. Put in place the think circular standard by using an analytics system to develop a facility that restructures energy to its core function. This results in more capacity and less operational expenses. Whenever making any changes, remember to create a comprehensive review of the full profit equation. 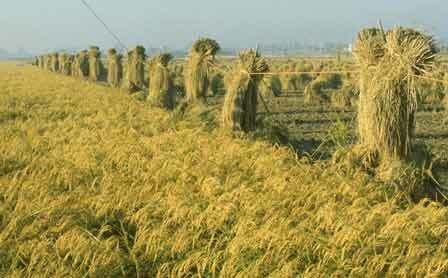 During the study, evaluate aspects such as yield, throughput and energy. Nonetheless, profit should be of the highest priority before effecting any changes. It is vital for an organization to create a resource productivity plan. Lean thinking and green thinking are based on similar principles and will blend in together well. When making changes, ensure that they not only focus on a specific aspect. Instead, you should also focus on the management system, behavior and mindsets. Carbon Black is a commercial form of solid carbon that is manufactured in highly controlled processes to produce specifically engineered aggregates of carbon particles that vary in particle size, aggregate size, shape, porosity and surface chemistry. Carbon Black typically contains more than 95 % pure carbon with minimal quantities of oxygen, hydrogen and nitrogen. In the manufacturing process, Carbon Black particles range from 10 nm to approximately 500 nm in size. These fuse into chain-like aggregates, which define the structure of individual Carbon Black grades. Carbon Black is used in a diverse group of materials in order to enhance their physical, electrical and optical properties. Its largest volume use is as a reinforcement and performance additive in rubber products. In rubber compounding, natural and synthetic elastomers are blended with Carbon Black, elemental sulphur, processing oils and various organic processing chemicals, and then heated to produce a wide range of vulcanized rubber products. In these applications, Carbon Black provides reinforcement and improves resilience, tear-strength, conductivity and other physical properties. Carbon Black is the most widely used and cost effective rubber reinforcing agent (typically called Rubber Carbon Black) in tire components (such as treads, sidewalls and inner liners), in mechanical rubber goods (“MRG”), including industrial rubber goods, membrane roofing, automotive rubber parts (such as sealing systems, hoses and anti-vibration parts) and in general rubber goods (such as hoses, belts, gaskets and seals). Besides rubber reinforcement, Carbon Black is used as black pigment and as an additive to enhance material performance, including conductivity, viscosity, static charge control and UV protection. This type of Carbon Black (typically called Specialty Carbon Black) is used in a variety of applications in the coatings, polymers and printing industries, as well as in various other special applications. Actually, after oil removal and ash removal processing from tire pyrolysis, we can get high-purity commercial carbon black, which can be used to make color master batch, color paste, oil ink and as addictive in plastic and rubber products. 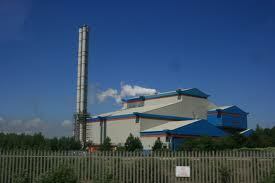 Besides, after activation treatment, the carbon black will become good materials to produce activated carbon. In the coatings industry, treated fine particle Carbon Black is the key to deep jet black paints. The automotive industry requires the highest black intensity of black pigments and a bluish undertones. Small particle size Carbon Blacks fulfill these requirements. Coarser Carbon Blacks, which offer a more brownish undertone, are commonly used for tinting and are indispensable for obtaining a desired grey shade or color hue. In the polymer industry, fine particle Carbon Black is used to obtain a deep jet black color. A major attribute of Carbon Black is its ability to absorb detrimental UV light and convert it into heat, thereby making polymers, such as polypropylene and polyethylene, more resistant to degradation by UV radiation from sunlight. Specialty Carbon Black is also used in polymer insulation for wires and cables. Specialty Carbon Black also improves the insulation properties of polystyrene, which is widely used in construction. In the printing industry, Carbon Black is not only used as pigment but also to achieve the required viscosity for optimum print quality. Post-treating Carbon Black permits effective use of binding agents in ink for optimum system properties. New Specialty Carbon Blacks are being developed on an ongoing basis and contribute to the pace of innovation in non-impact printing. While using alternative sources of energy is a right way for you to save money on your heating and cooling bills, it also allows you to contribute in vital ways to both the environment and the economy. Alternative energy sources are renewable, environmentally sustainable sources that do not create any by-products that are released into the atmosphere like coal and fossil fuels do. Burning coal to produce electricity releases particulates and substances such as mercury, arsenic, sulfur and carbon monoxide into the air, all of which can cause health problems in humans. Other by-products from burning coal are acid rain, sludge run-off and heated water that is released back into the rivers and lakes nearby the coal-fired plants. While efforts are being made to create “clean coal,” businesses have been reluctant to use the technology due to the high costs associated with changing their plants. If you are considering taking the plunge and switching to a renewable energy source to save money on your electric and heating bills or to help the environment, you have a lot of decisions to make. The first decision you need to make is which energy source to use in your home or business. Do you want to switch to solar energy, wind power, biomass energy or geothermal energy? Emissions from homes using heating oil, vehicles, and electricity produced from fossil fuels also pollute the air and contribute to the number of greenhouse gases that are in the atmosphere and depleting the ozone layer. Carbon dioxide is one of the gases that is released into the air by the burning of fossil fuels to create energy and in the use of motor vehicles. Neither coal nor fossil fuels are sources of renewable energy. Replacing those energy sources with solar, biomass or wind-powered generators will allow homes and businesses to have an adequate source of energy always at hand. While converting to these systems can sometimes be expensive, the costs are quickly coming down, and they pay for themselves in just a few short years because they supply energy that is virtually free. In some cases, the excess energy they create can be bought from the business or the homeowner. While there are more than these three alternative energy options, these are the easiest to implement on an individual basis. Other sources of alternative energy, for instance, nuclear power, hydroelectric power, and natural gas require a primary power source for the heat so it can be fed to your home or business. Solar, wind, biomass and geothermal energy can all have power sources in your home or business to supply your needs. Solar power is probably the most widely used source of these options. While it can be expensive to convert your home or business over to solar energy, or to an alternative energy source for that matter, it is probably the most natural source to turn over to. You can use the sun’s energy to power your home or business and heat water. It can be used to passively heat or light up your rooms as well just by opening up your shades. You need your wind turbine to power your home or office, but wind energy has been used for centuries to pump water or for commercial purposes, like grinding grain into flour. While many countries have wind farms to produce energy on a full-scale basis, you can have your wind turbine at home or at your business to provide electricity for your purposes. Biomass energy has rapidly become a vital part of the global renewable energy mix and account for an ever-growing share of electric capacity added worldwide. Biomass is the material derived from plants that use sunlight to grow which include plant and animal material such as wood from forests, material left over from agricultural and forestry processes, and organic industrial, human and animal wastes. 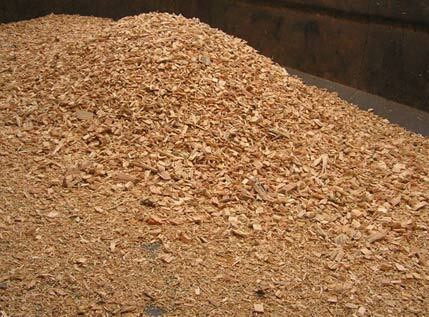 Biomass comes from a variety of sources which include wood from natural forests and woodlands, agricultural residues, agro-industrial wastes, animal wastes, industrial wastewater, municipal sewage and municipal solid wastes. A heat pump helps cool or heat your home or office using the earth’s heat to provide the power needed to heat the liquid that is run through the system to either heat your home in the winter or cool it off in the summer. While many people use it, it doesn’t provide electricity, so you still need an energy source for that.